Getting your down payment into escrow on time is key to getting into your new home. 3. 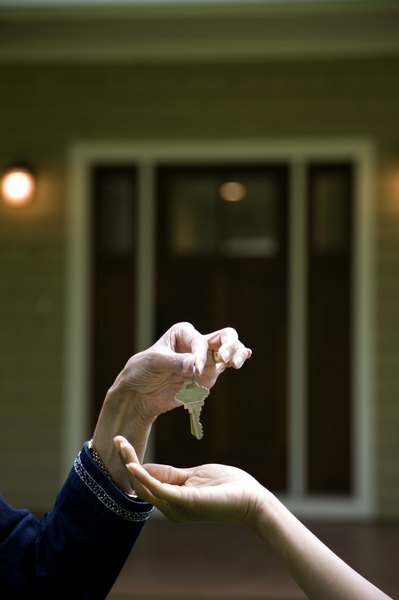 Can You Use Your Retirement for a Home Down Payment? Time is of the essence in any real estate transaction. It is important to adhere to contract deadlines to ensure a smooth closing on your new home. The timely deposit of down payment funds ensures that you get your home loan financing and close the deal as stipulated in your sales agreement. Because of this, it's important to get your funds in escrow on time. The loan contract between you and your lender will state how many days you have to put your good faith deposit in escrow after the seller accepts your offer. The full down payment needs paid to close the sale. Most people can't buy a home with cash, so they need mortgage financing. A lender, such as a bank, credit union or mortgage company, agrees to let you borrow a certain amount of money to pay for the home. The down payment is the borrower's cash contribution to the transaction. A down payment of 20 percent or more is typically required in order to avoid having to invest additional funding in private mortgage insurance. With that in mind, a standard mortgage loan will be equal to 80 percent or less of the sales price. Together, the loan and down payment total 100 percent of the purchase price. The down payment is one of the most important stipulations set forth in the purchase agreement. The down payment amount can affect a buyer's chance of getting his offer accepted. Typically, the higher the down payment, the stronger the offer, because the buyer demonstrates an ability to pay more and get a better loan. Such buyers have more financing options available to them than cash-strapped buyers who can only afford a minimal down payment, or none at all. To a seller, a down payment can mean the difference between closing the transaction or having it fall through due to lack of financing. The buyer and seller negotiate the down payment needed and write it into the contract. Lenders have minimum down payment requirements for their loan programs. For example, conventional loans with the best terms and interest rates require at least 20 percent down. A contract typically calls for earnest money, or a good faith deposit, placed into escrow within a specified number of days after seller acceptance. Earnest money is considered an initial down payment and is used toward meeting the total down payment requirement. It's timely deposit into escrow shows the buyer's motivation and level of commitment to buying the home. The full amount of the down payment typically must be deposited into escrow prior to the closing date. Depositing down payment funds late, or after the closing date stated on the contract, delays closing. This can jeopardize a transaction if the seller chooses to exercise his right to cancel the agreement because the buyer fails to perform his duties. A buyer who needs more time to come up with down payment funds can request an extension from the seller, but is not guaranteed one, especially if the seller has other prospective buyers interested in the home. Typically, the buyer's lender verifies that he has sufficient assets to cover the down payment as a requisite for approving his loan. Zillow: What is Escrow, and How Does It Work? Can I Use an IRA Account for a Mortgage Down Payment? What Happens to Leftover Escrow When a Home Loan Is Paid Off? What Is a Cash Escrow?